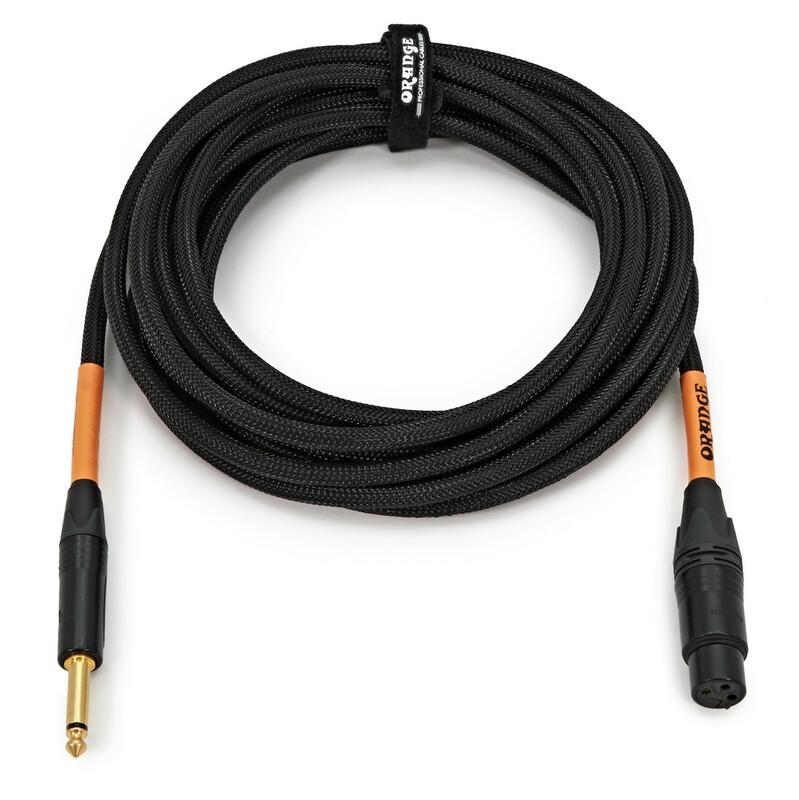 The Orange 20 ft 1/4 inch male jack to female XLR Cable, featured here in black, is a professional quality microphone cable which is durable and reliable with a tough woven outer sleeve. The cable features a highest grade copper-free conductor and hand a soldered neutrik 1/4" jack. Super low noise and interference rejection is provided by PVC and PE insulation. Orange cables have become industry leading due to their professional audio quality and reliability. This cable is 20ft (6m) in length with a 1/4" neutrik jack connector and XLR F connector making it ideal for using with a loop station or studio use.